Join fellow Paladins and friends on an extraordinary 10-day travel experience to Scotland with special hosts, Natalie The ’03 (associate professor of Health Sciences) and Matt Davidson ’04 (Head Coach Men’s Golf). The trip is a perfect combination of golf and active site-seeing that caters to golfers and non-golfers seeking to experience Scotland’s Fife Coast, the Highlands, and Edinburgh together. Golfers looking to make the pilgrimage to the birthplace of golf will experience 6-plus rounds on historic, world renowned courses. Non-golfers will experience the rich history, culture, and landscapes of Scotland through day cruises, castle tours, whiskey tasting, and much more! View the itinerary. *Anyone who is planning on playing golf must have a USGA handicap. For men this is a 20 handicap and for women this is 30 handicap. ** The cost to play the Old Course is not included. 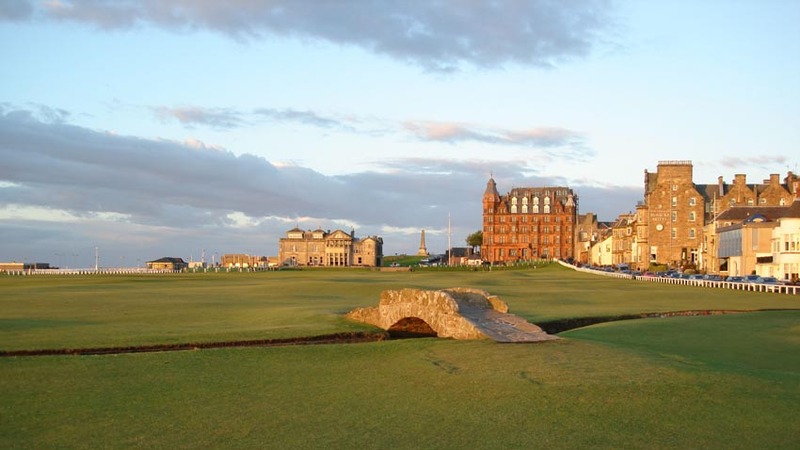 If successful in any of the advance ballot, 48 hour ballot or singles line, the player is responsible for those costs and shall pay St. Andrews Links Trust directly. Please review “Playing The Old Course” in this proposal for details. *** 48 Hour Ballot :This enables golfers who are in the area the opportunity to play the course during their visit. The ballot is drawn two days ahead of play (except for Sundays). Groups may apply to this each day you plan to be in St. Andrews. A valid USGA handicap, home course and the names of the confirmed traveling golfers must be provided. Pricing is based on 16 total travelers.